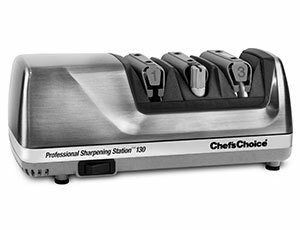 The newest breakthrough in sharpening technology, the Model 130, presents all your sharpening options in one compact appliance. 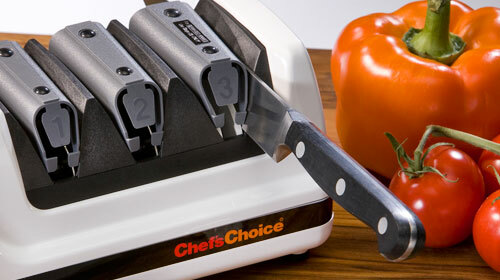 It professionally sharpens, steels or strops all brands and types of knives; straight edge or serrated, kitchen, sports and pocket knives in seconds. Three stages make it possible to obtain a "better than factory" edge quickly and effortlessly. Stage 1, using 100% diamond abrasives, sharpens the edge. Stage 2 is a super-hardened miniature steel that develops a shaving sharp edge with ultra-sharp microscopic teeth, providing a superior edge "bite". In stage 3, a revolutionary flexible stropping disk polishes the edge to hair-splitting sharpness. 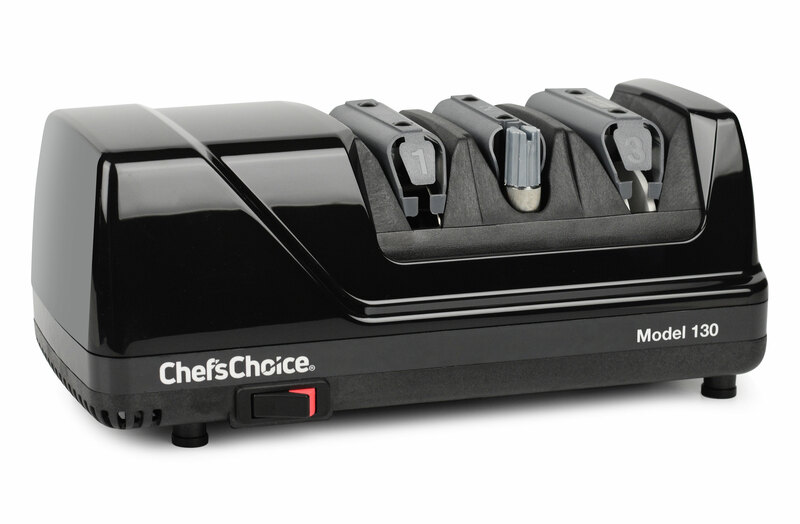 Using these stages in different combinations produces custom edges, suited to a particular cutting task. Built-in, high precision, user friendly elastomeric angle guides guarantee fool-proof sharpening. 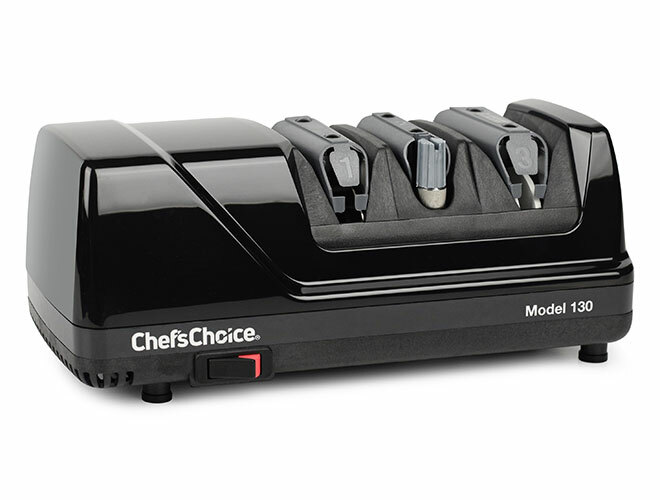 Assembled in the U.S.A. Limited three year warranty. UL/ETL and Canadian Approval.